Theatre Central provides a service to the other specialties in the hospital. This includes managing the theatre timetable, the annual closure plan for maintenance, provision of an appropriately trained workforce, management of procurement processes and monitoring compliance with standards. 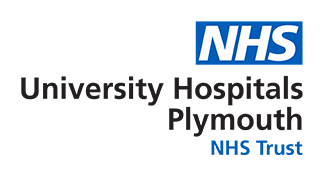 The Anaesthetics Service ensures the provision of Anaesthetists for all surgical procedures requiring general anaesthetic, along with a wide range of local anaesthetic procedures requiring anaesthetic presence to administer or oversee proceedings for all age groups (paediatric anaesthesia in the main is provided in Plym Theatres, a purpose-built unit). The Cardiothoracic anaesthetists support their own service. The Anaesthetics service ensures provision of anaesthetists for a wide range of diagnostic and screening procedures, e.g. MRI, X-Ray. Anaesthetists also provide a Pre-operative Anaesthetic Screening Service for patients who are due to undergo a surgical procedure and a skin prick testing service for patients to prevent or investigate an allergic reaction. A Centralised pre-assessment unit based on Erme ward, level 4, sees the majority of elective surgical patients, with the exception of orthopaedics. Patients undergo all necessary pre-operative tests including MRSA screening and blood tests and/or ECGs as necessary, and have a full nurse-led assessment to ensure they are socially and clinically prepared for their operation. Cardiopulmonary exercise testing is now also an integral part of the service. Fal Day of Surgery admissions unit offers an admissions lounge to all patients being admitted electively on the day of surgery. Postbridge is a second stage recovery area for day case patients. These two units support a day case pathway for elective and some emergency patients improving the patient experience, reducing the need for inpatient admission and improving theatre efficiency.